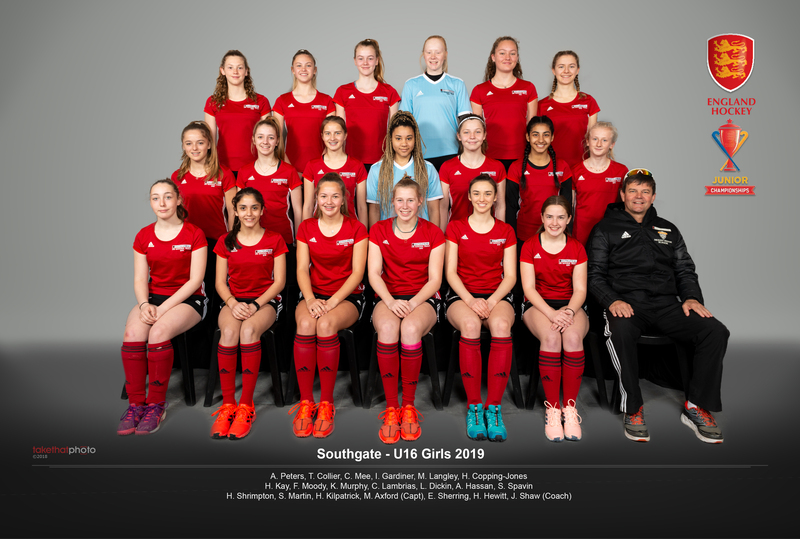 The U16 Girls were ultimately disappointed not to progress from their group to the Third place play-off match at the National Championships in Wakefield. Having dominated two of their three games, and only losing to eventual Champions Repton, they were unfortunate to head home early in 7th place overall. All the effort proved in vain, and indeed a second goal wouldn’t have proved enough as Repton lost to Reading in their final group game having rested a number of starting players (they did however go on to win the final). The Girls can be very proud of their efforts and actually only lost one half of Hockey out of six! All the girls gave everything to the cause and seventh overall in the National Championships is still a great achievement, but special mention to Scarlet and Hannah who were outstanding across the three games. Thanks to John as ever for leading the team to the finals, to super spy Martin Foxall ( the backdrop to his team talk on Saturday evening being a personal highlight), to Sheila Langley and Richard Mee for the organisation and management of the weekend, and all the fantastic parents who came to support, we were the loudest supporters by far! *Expert Analysis on the Saturday provided by Caitryn Langley, Megan’s sister and current Reading Ladies 1’s player!